The Guided Sharpening System is a bench top sharpening and honing system designed to give every blade you own the perfect edge. The Guided Sharpening System has an innovative Pivot-Response System that follows the curve of any blade while you sharpen it. The Pivot-Response can also be disengaged to create a traditional sharpening surface for straight blades. 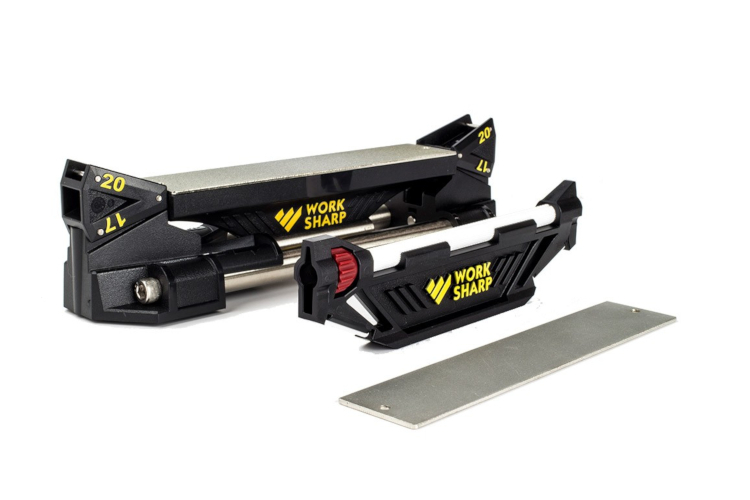 This sharpener can sharpen any knife, including serrated blades, fish hooks, and tools.